World Plant Milk Day is coming up on August 22. In its honor, and because I’d received recipes from Vegan Dairy Fair, I wanted to make vegan Ice Cream. But, you might think, does ice cream have anything to do with a baking blog? It doesn’t, until you put it between sandwich cookies. Now I had an excuse to buy another specialty baking pan. 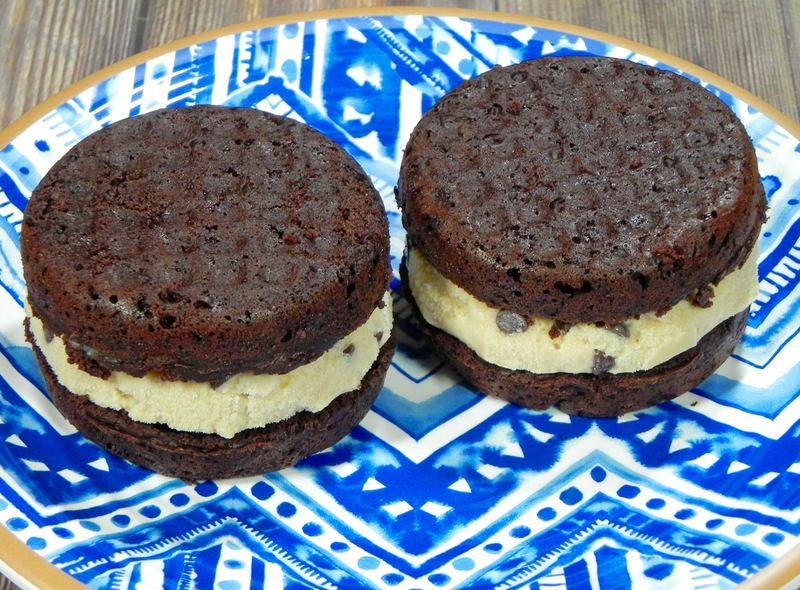 The cookie recipe I found was made specifically for ice cream sandwiches, reminiscent of that dense chocolate goodness. The altitude changes were to use less baking soda and add liquid. For veganizing, I opted for vegan margarine and soymilk. The ice cream recipe was from The Vegan Scoop, with the addition of chocolate chips. I also added Vapor Distillery’s Arrosta Coffee liquor. It not only added a depth of taste, but alcohol helps to keep non-dairy ice cream from getting icy. So go ahead and celebrate – World Plant Milk Day or just a hot summer’s day. In a small bowl. combine 1/4 cup soymilk with arrowroot. Set aside. Mix soy creamer, remaining 3/4 cup soy milk, coffee and sugar in a saucepan and cook over low heat. Once mixture begins to boil, remove from heat and add arrowroot cream to thicken the mixture in the pan. Add vanilla extract. Refrigerate mixture until chilled, about 2-3 hours. Freeze according to your ice cream maker’s instructions. In the last few minutes of churning, add coffee liquor and chocolate chips. Store in freezer. Preheat oven to 350F, with a rack in the center. Lightly oil an ice cream sandwich pan. In a bowl, whisk together flour, cocoa powder, baking soda, and salt. Set aside. In a large bowl, place margarine, sugars, and vanilla. Beat at high speed until well combined. The batter will be thick and sticky. On low speed, add half the flour/cocoa, then the milk, then remaining flour/cocoa, scraping bowl between additions. Dollop batter into prepared pan using spatula to smooth out. Bake for 10-12 minutes until an inserted toothpick comes out clean. Remove pan from oven, let cool for 5 minutes, then remove cookies to a wire rack to cool completely. When cooled, place one cookie on a plate. Spread with ice cream. Top with a second cookie, top side up. Wrap and store in freezer. Until next time, happy baking and churning! Have you ever wanted to make a quick cookie because guests were on their way? 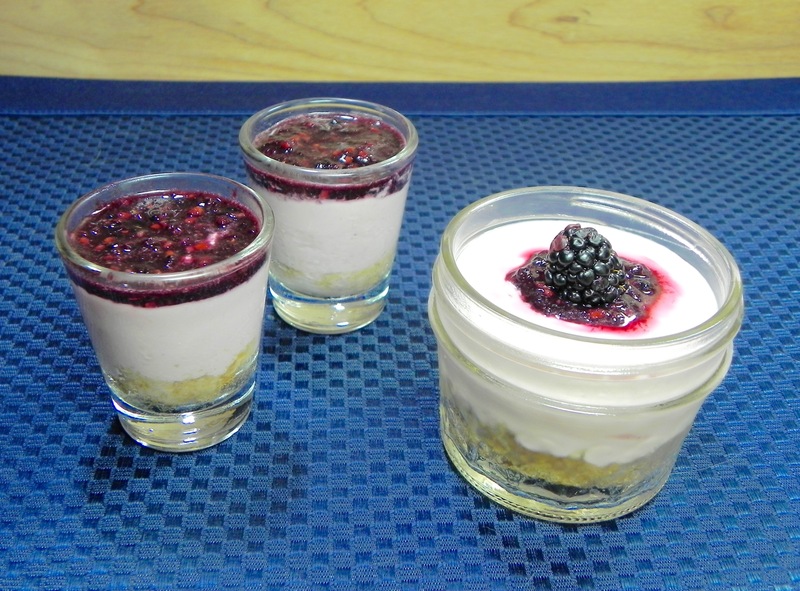 Or maybe you were craving something sweet now? These cookies fit both those requests, and they have very few ingredients so a swift run through the pantry and you are ready to bake. They come together so quickly that I had them ready before the oven came up to temp, and that never happens. I didn’t have to make any changes for vegan or high altitude, so I let my creativity run with the ingredients. 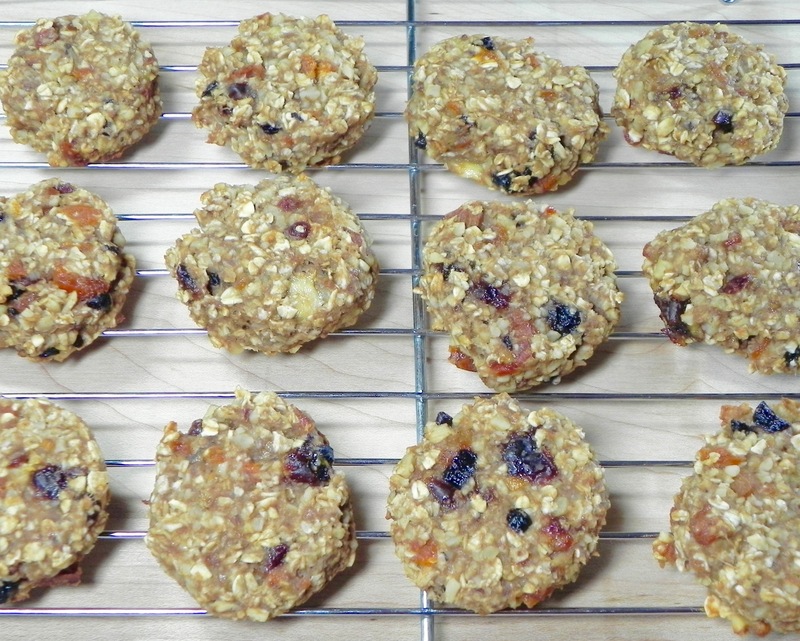 The original recipe contained dates but I used dried apricots, cherries and blueberries for more depth of flavor. You could try any dried fruit, such as cranberries or currants for a tart twist. To add even more layers of flavor, I added spices, but including spiced applesauce would make it simpler. 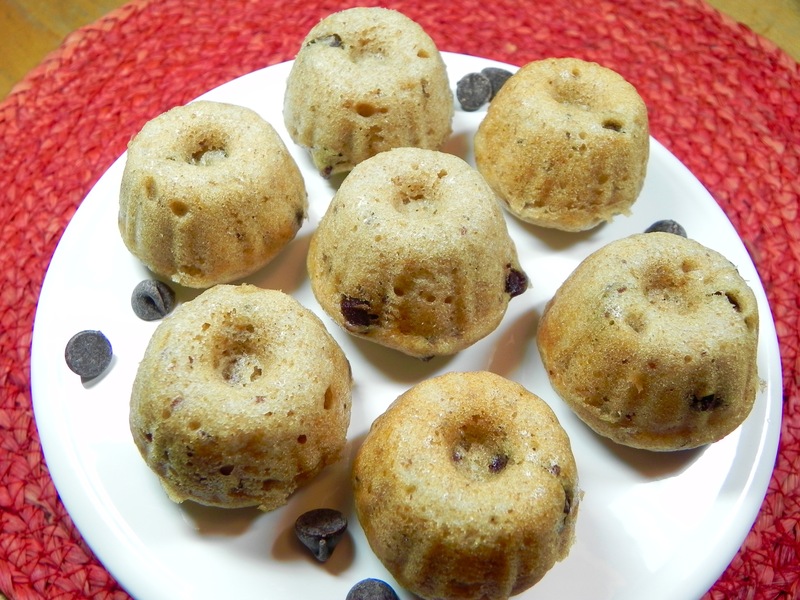 So, not only are these treats easy but they are healthy and will satisfy my gluten free friends, too. Preheat oven to 350F. Line a baking sheet with parchment paper. Combine bananas, applesauce, oats, walnuts, dried fruit and spices in a bowl until evenly blended. Using a 1 TBS scoop, scoop out cookies and place on prepared baking sheet. Flatten slightly with a spatula. Bake 30 minutes or until lightly golden. Cool on a wire rack. Store cookies in an airtight container for up to one week. Makes 18-20 cookies.